So, you have decided to start playing table tennis! That’s a great decision! Table tennis is a nice sport which offers exercise to your entire body, relieves your stress and lets you spend some of the most fun moments of your life. 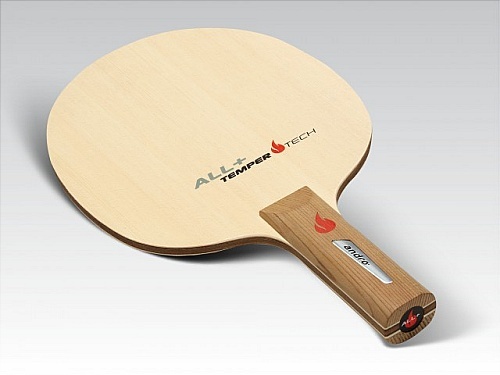 In order to start playing table tennis, you should buy a racket and obviously you want the best table tennis racket. Well, you should buy the one that is best suited to you because they are expensive and you can’t afford to buy a wrong one. How will you do that? Let’s see. Is it Table Tennis Racket, Bat or Paddle? The confusion starts from here! Should you look for a racket, a bat or a paddle? You need not be so confused because they all are the same tiny equipment with which table tennis is played. Only its name differs from region to region. Even the sport, table tennis has another name, ping pong. Lots of people have a question that whether they can get the table tennis racket of any size. Actually, a table tennis racket may be of any shape, size and weight, provided that the blade is flat and compact and should be made from at least 85% natural wood. However, almost all the table tennis rackets are quite similar in size, i.e. around 6 inches (15 cm) wide and 10 inches (25 cm) long (handle included). You can choose between these two, i.e. you can either buy a readily made racket or can buy separate pieces and create a customized racket from them. Pre-assembled readymade rackets are suitable to beginners and those who play infrequently or just as a fun activity. Customized rackets on the other hand are perfect for players who have been playing the sport for at least a year and are planning to play regularly so as to improve their performance, and also for professional players. Though ideally the blade should be made of at least 85% natural wood, a small amount of other materials are also allowed like glass fiber, carbon fiber or compressed paper. However, they should not be more than 0.35 mm or 7.5% of the total thickness, whichever is smaller. Carbon fiber is usually used to strengthen the blade and make it faster, thus offering the blade a bigger “sweet spot”. These blades are much costlier than standard blades and so, are not correct for you until you don’t reach an advanced level. Most blades contain 3, 5 or 7 wooden layers and their type of wood decides on a large part how the blade will respond. Penhold Style: This is for players who hold racket in a style similar to holding a pen, i.e. they hold the handle between the thumb and forefinger. This is mainly a style of Asian players. Western Style: This is also called shakehands grip because it is similar to that while shaking hands. There are many other factors to consider while choosing a table tennis racket like shape of handle, type of blade, category of blade and more. 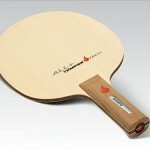 Read excellent reviews of top 10 table tennis rackets on TableTennisSpot.com to learn much more on this subject.